Whoa! After Liebstar and Sunshine blogger award, I got this! Thanks a lot Neha Kulkarni for nominating me for this award. I’m really glad that my works are appreciated and nominated for an award. Please visit Neha Kulkarni’s blog. Her thoughts are worth giving a read and she writes amazing posts. Q1: If you were given 3 wishes to be granted, What would your 3 wishes be? 1. Remove poverty and everyone should go to sleep after eating sufficient food. 3. Stop use of animal products like those which are made of animal skin and etc. Saving animals from torture and killing for entertainment and other purposes. Q2: When you think of the word ‘Happiness’, What comes to your mind? A: Spending time with friends and family and helping others. Q3: Which cartoon character or any Series character would you like to be? Q4: Which of the Talk Exchange posts’ is your favourite? A: Expectations, Rise after the fall, Don’t give it a damn. Actually many, but it would take so much time to write all. Q5: How would you describe yourself in a single statement? I am an animal lover and I love dogs, rabbits, cats, deers etc. very much. I love horse riding. It’s so much fun. Whenever i get a chance Iam always eager to ride. I love Australia, I wnt to visit it once in my lifetime atleast. Q6: Do you think robots would take over humans in coming years(10 years later or so)? Q8: Where do you see yourself (in blogging)? Thank you so much again for this amazing award. I guess this was not possible because of all your love and support! I will try my best to improve more and more, after all life is all about learning and experiencing different things. may you achieve more like these! 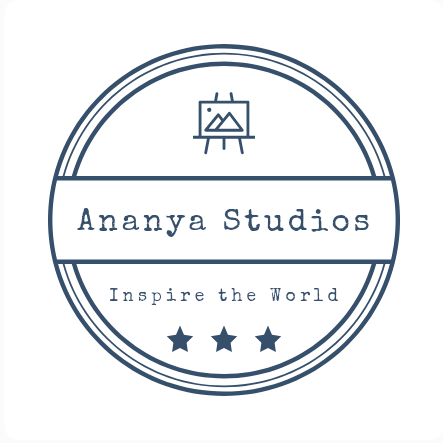 Congratulations Ananya!..You deserve this award!…You go girl! Congratulations Ananya.. Interesting to read your answers..
Congratulations dear!! Beautiful answers!! And thank you so much for nominating me!